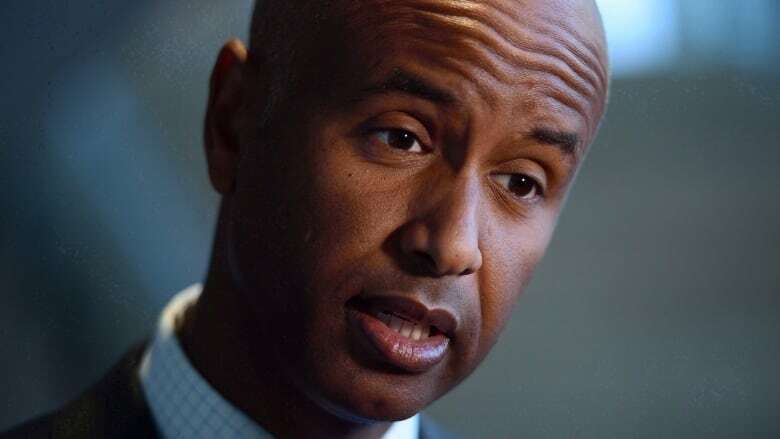 As the flow of people crossing into Canada outside regular border points continues, Hussen rebuffed claims that the government is "normalizing" illegal entries at Roxham Road in Quebec. He said the federal government has adopted a "multi-faceted" approach that includes border security funding, aggressive outreach to correct misinformation, investments to speed up the adjudication process, and a national operation plan to work with the provinces and municipalities. The RCMP intercepted 19,411 asylum seekers outside official border points in 2018, down from 20,593 in 2017. The Conservatives have said they would stem the border flow by closing a "loophole" in the Safe Third Country Agreement (STCA), but have not explained how enforcement would work along the longest undefended international border in the world. Hussen accused the Conservatives of failing to deliver concrete, workable ideas. "They don't have a plan. You know what their plan is? To militarize the border and place a CBSA official or RCMP official every 100 metres," he said. "We don't have the resources for that kind of half-baked, impractical plan." The "loophole" the Conservatives point to is that the agreement applies only to claimants trying to enter at official land border crossings, by train or at airports, which is why some are making their way into Canada outside official crossing points. Conservative immigration critic Michelle Rempel responded angrily on Twitter, calling Hussen's suggestion that Conservatives would militarize the border "desperate, unCanadian, divisive fearmongering." She also spoke out on Facebook live, comparing Hussen's remarks to a controversial 2006 Liberal campaign attack ad which suggested then Conservative leader Stephen Harper would deploy armed soldiers on the streets of Canadian cities. The ad was subsequently pulled. "That, right there, is divisive and disgusting immigration policy," she said of Hussen's remarks. The Conservative Party released the broad planks of its immigration plan in August, setting the stage for what's expected to be an intense national debate on the issue in the run up to this year's federal election. At the time, Rempel accused the Liberals of settling immigration levels "like an auction" without ensuring those entering the country can find work here. Hussen made his remarks at an event to announce $18.4 million in funding to Colleges and Institutes Canada to provide settlement services to immigrants before their arrival. It's part of a $113 million package announced earlier this month by Hussen to improve supports for newcomers. An internal evaluation of the pre-arrival settlement program released in May found all client groups found the services to be useful for gaining knowledge of life in Canada, the Canadian labour market and how to have professional credentials recognized, and how to understand workplace culture and norms. Hussen conceded the evaluation showed the program could have been delivered better, but those who did access it benefited significantly and were able to "hit the ground running." The program has been revamped to have a smaller number of organizations with a solid track record delivering coordinated services, he said. In May, IRCC started to solicit proposals, and 16 service providers were chosen to deliver virtual and in-person services to newcomers around the world — including refugees — before they come to Canada. Hussen also defended the decision to bring Saudi teen Rahaf Mohammed to Canada. The government has come in for some criticism from those who claim she was fast-tracked because of her social media presence. He said Canada's response was to an "urgent request for protection" through a very small UN program that deals with a few hundred cases a year. "It's based on referrals from the world body that is an expert on these issues, which is the UN Human Rights Commission on Refugees," he said. "When we get that call, we respond and I'm proud of the fact that we responded to a woman whose life was literally in danger in a matter of hours." Mohammed told CBC News she was physically and mentally abused by her family since she was 16 years old, and that she thought about escaping for years. During a family vacation to Kuwait in early January, she bought a ticket to Thailand. She was stopped at the airport in Bangkok, denied entry and had her passport seized. Faced with the threat of being sent back to her family, she barricaded herself in a hotel room and used Twitter to plead for help.